← New Zealand Road Cyclist rides more than the 21 bends. With 2013 drawing to a close I thought it would be good to review where I have ridden this year and highlight some other special things that have happened to our special little company. I have kept up my 100 percent record of cycling up Alpe d’Huez at least once a month through out the year. The highlight of the year was probably my ascent the day before the Tour de France with a German Film crew interviewing me. I did not get a new fastest time this year but it was great sharing the rides with our customers. Cyclist magazine joined us in May for our secret Alps ride. I climbed a number of new cols this year but these two were probably the most memorable. We are filling up for 2014 and have already had to provide a 3rd Alpe d’Huez and Mont Ventoux trip. I will be heading off to New Zealand for 3 weeks of cycling in January including two sportives. In March I will be competing in the Puncheur sportive in Brighton, UK with a mystery ex AFC Bournemouth football player. We are also planning a club ride in Bristol as well for all our customers that live in the area. Oh and I have also entered my first ever half marathon run and also am planning on doing the Alpe d’Huez Duathlon in July. 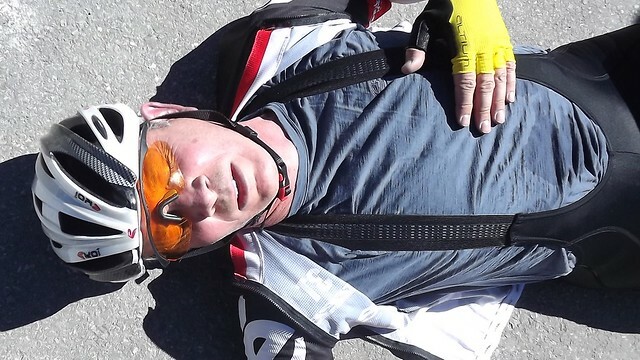 This entry was posted in Alpe d'Huez, Alpe d'Huez to Mount Ventoux, Alpe d'Huez Triathlon, Col d'Eze and tagged Cycling Holidays Alpe d'Huez, Cycling Review 2013. Bookmark the permalink.